What Does Home Ownership Look Like In Evansville? There is a reason it’s called the American Dream. Home ownership represents stability, independence and freedom. It’s a way for everyone to invest in the community they love, and it’s an important part of any thriving city. Last week we talked about how the Evansville housing stock looked and we compared it to the surrounding cities. Now let’s look at what home ownership looks like, the value of the homes owned, the cost to own homes compared to what home owners are earning, and what renters are paying in Evansville. Before we discuss home ownership, let’s give an overview of Individual Earnings (this number will differ from the Median Family Income referenced in previous blogs ). This average includes everyone who lives in the Evansville area who would have filled out the local census data. A general “rule of thumb” is that housing expenses should be no more than 30% of the monthly gross income. According to this graph and following that rule, an average individual in Evansville shouldn’t spend more than $630 per month on housing. Let’s see how realistic that is for Evansville. This next graph will compare the percent of owner-occupied homes in Evansville to surrounding cities. The average value of the 53.7% of owner-occupied homes in Evansville is around $90,000. This value ranks just above Chandler and just below Henderson. It is also interesting how Evansville has the lowest percentage of owner-occupied homes as well as the lowest owner-occupied home value. Could this also be due to Evansville being significantly larger than its surrounding cities? To answer this, let’s take a deeper dive into the value of owner-occupied homes in Evansville. This data showed that 22% of home owners were cost burdened, while 49% of renters were cost burdened. The differences in these percentages is somewhat alarming. Homearea.com breaks down the rental picture. If there are more cost burdened renters, what does it cost to rent in Evansville? What part of this last graph is most surprising: That you can rent a 3+ bedroom for less than $200 a month, or that 4.3% of studio apartment renters pay over $1,000 per month? Data is a beautiful thing, and we can draw many conclusions from it, but there are also many things not taken into consideration. One major factor is that a lot of workers in Evansville work in entry-level positions at very large employers. There are also a lot of college age students who live in Evansville full-time and could have been taken into consideration on this data. What conclusions did you draw from it, and what potential issues/misconceptions do you see? This information is all found here and is based off census data and area community surveys. *Note, data on this website is from the most recent Census Survey which was performed in 2016. 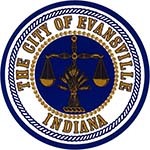 Older PostWhat is the State of Evansville’s Current Housing Stock?